Name: World Map based on Mercator’s Projection (late 1800s) 1800-s.
Publishing details: Undated, most probably late 1800s. Condition: Mounted on white, wrapped in plastic. 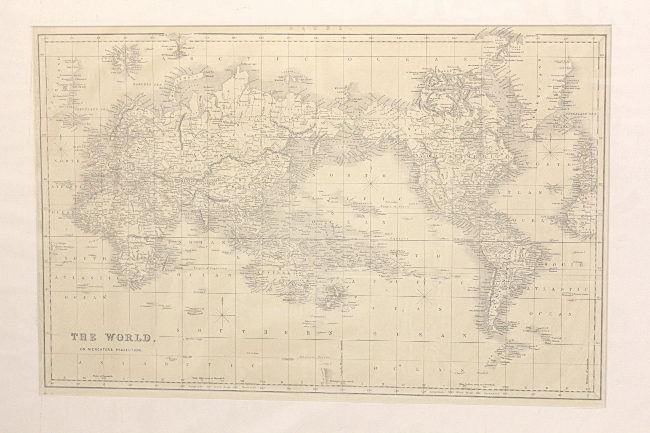 A large map in excellent condition. One fold line and minor creasing at the corner.